The Nechako Watershed Roundtable is a collaborative initiative underway in 2015 to protect and improve the health of the Nechako watershed for future generations. The Roundtable (NWR) includes representation from BC First Nations, the Province of BC, local governments and other agencies and organizations having responsibilities and interests in the watershed. The Nechako Watershed — a magnificent river system in north-central BC — is facing significant challenges such as wildfire and drought, impacts of the mountain pine beetle epidemic and salvage logging, climate change, and the diversion of water out of the Nechako watershed. Effective stewardship of the Nechako Watershed today is critical to all future generations. In light of the challenges, there is a need to enhance awareness and collaboration to help ensure the long-term environmental health and wealth of the Nechako watershed, while addressing today’s needs for responsible resource development and resilient communities. Different organizations have worked, and to continue to work, to improve the health of the Nechako. Most agree that activities could be better coordinated, limited resources pooled more effectively, and decision-makers and the public given more opportunities to become more aware and engaged in the health of the watershed. A dialogue began in 2012 among different bodies within the watershed, which came together informally as the Nechako Watershed Alliance. The intent was to share information and knowledge, explore common interests and brainstorm on actions needed to advance watershed health. 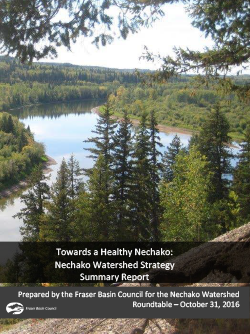 Guided by a core leadership committee, the Nechako Watershed Roundtable has drafted a Nechako Watershed Strategy (Full Report | Summary) and intends to undertake and advise on water stewardship activities in the Nechako River Basin. Funding to support the Nechako Watershed Roundtable operations and projects has been generously provided by the Real Estate Foundation of British Columbia, the Fraser Basin Council, the City of Prince George, the Village of Burns Lake, the District of Vanderhoof, the District of Fort St. James, the Village of Fraser Lake, the Fraser-Fort George Regional District Electoral Areas A and C, and the Bulkley-Nechako Regional District Electoral Areas B, C, D, E, F.
This financial support has complemented and leveraged significant in-kind contributions from Core Committee members, partner organizations and Roundtable participants. 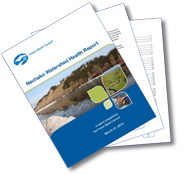 To learn more about the Nechako Watershed Roundtable, see the Terms of Reference document, which includes a mission, objectives, guiding principles and structure for the work of the Roundtable and its core committee. The Fraser Basin Council serves as secretariat for the Roundtable. 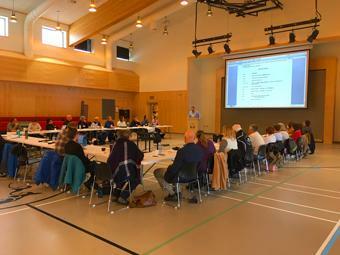 The Nechako Watershed Roundtable thanks everyone who turned out for the Roundtable's annual meeting on November 2 in the home of the Nadleh Whut'en in Nautley. Discussion this year focused on NWR activities, watershed health, response to wildfire events and risks to watershed health associated with them. On October 19 the NWR Core Committee issued a statement to express concern for the health of the Nechako watershed following a decade of unprecedented wildfire and other changes in the watershed. Read the statement.